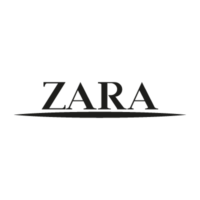 Zara is a worldwide chain of retail clothing stores which is headquartered in Arteixo, Spain. The business sells clothing and accessories for men, women, and children. It is a subsidiary of Inditex, which also owns Pull & Bear, Bershka, Massimo, Dutti, Stradivarius, Oysho, Zara Home, Uterque, and Tempe. You can find a link to go through the Zara application process at the bottom. The company was founded by Amancio Ortega in 1974. It has grown to more than 2000 brick and mortar stores in 88 countries, and conducts online sales in26 markets. The company owns its own stores, except in countries that won’t permit foreign ownership of businesses. Stores in those countries are franchised. The retailer does not outsource most of its manufacturing to cheap foreign factories. Instead, it runs its own factories, mostly in Spain. Because of this, production time is very brief. The business designs clothing based on customer trends rather than imitating fashion shows. Because production time is so brief, many items might only be available for a few weeks before being replaced by new items. The business is dedicated to protecting the environment by using organic cotton and ecologically safe fabrics in its clothing. It also uses biodiesel fuel to transport its products and recycles its plastic hangers and alarms. The company is committed to reducing its energy use by 20% in its stores, as well. The company needs people working in its stores and offices. They also need people to design, manufacture, and deliver products. With over 200 job positions to keep filled, the retailer is always hiring. Fashion Designer, Logistics Coordinator, and Product Manager are some examples of Zara careers that are available at the website. Internships are open, as well. In-store job opportunities offered include Manager, Sales Associate, Display Designer, Window Dresser, Visual Merchandise Coordinator, Cashier, and Stockroom Associate. There is no printable application for Zara at the website, but you can read job postings and get location information to either upload or deliver a resume in person, depending on the individual posting. You must be 18 to work at Zara. All Zara jobs in the United States require fluency in English, and some require prior experience. Be sure to check the job description before you fill out applications for Zara jobs online. Some jobs with the company include a competitive benefits package with health, dental, and vision insurance, vacation time and paid days off, 401(k), advancement opportunities, employee discounts commissions, and more. Store hours are not posted on the company website. You can find your local store’s contact information and contact them directly. Store hours vary at the different locations. Sales Associate – As a Sales Associate, you would greet and help customers, sell items, and restock and straighten merchandise. You would keep the sales floor clean. You should love fashion, and be able to work a flexible schedule. Experience preferred, but not necessary. Pay for this job starts around $8.50 per hour, and can be several dollars more. Stockroom Associate – The Stockroom Associate prices, sensors, and organizes large shipments of clothing that can come in twice a week. This person must be strong and fast to keep up. Requirements are the ability to work a flexible schedule, and fluency in English. Pay for this job starts around $8.50 per hour. Head Cashier – As a Head Cashier, you would ring up customers’ sales quickly and accurately, while being friendly. You would have some paperwork responsibilities, as well. Experience in retail preferred, but not necessary. You must be able to work a flexible hours. Pay range for this position is $8.00 to around $14.00 per hour. Visual Merchandise Coordinator – The Visual Merchandise Coordinator decides where to place products for optimal sales. You would give feedback to higher employees to improve products. The VMC checks sales numbers, and checks windows, light fixtures, and more, to improve presentation. The VMC decides which products to continue selling. Two years of experience is required. Salary for this position starts around $22,000, and can be double that. How often do you shop for clothes? This retailer produces roughly 12,000 new products every year, and rotation is only a few weeks. They want to hire people who are aware of current trends and can give direct feedback to the company about what would sell and what would improve current designs. What kinds of clothing would you like to see more of right now? Your interviewer wants to gauge your interest in fashion. The company is seeking individuals for employment who are passionate about style and design. You will not be able to download application form at the website. The company requires resumes. How energetic would you say you are? Most careers in this industry require high energy. If you want to work in a store, it is especially important that you can stand and move for long hours, and remain cheerful to customers and your coworkers. Browse Zara jobs at their website below. Do you see a future with this company? This business offers part-time, entry-level jobs, but it also offers enormous opportunities for training advancement, anywhere in the world. It’s not too soon to think about a future with this company. See the website at the bottom to apply for jobs at Zara. What is your availability? Retail businesses are open often when other businesses are closed. This can mean working evenings, week-ends, and some holidays. It can also mean having different days off each week. Let your interviewer know if there would be any times you could not work due to scheduling conflicts. This growing company is looking for creative, lively, friendly people all the time. It offers job opportunities anywhere in the world or close to home. Be sure to arrive a few minutes early to your interview so you won’t feel rushed, and get a good night’s sleep the night before. The retailer is constantly looking for fashion feedback to create new products. Wearing something that is professional, but still shows some creative touches will help you to stand out from other applicants. The Zara application process will require you to upload your resume when you apply online, or take it to a store. There is no printable application form from this business. If you would like to know how to apply for Zara online, go to the website below. The direct application process is to read the job description of a desired position and upload a resume online. The free application process for some locations is to come in person with a resume and ask to speak with a manager. The business does not supply an application form. The online application process varies depending on the position, but instructions will be included in the job description at the company website. Visit the company website and view job opportunities online through the application links below.